William Burt's "wedding cake house"
William Austin Burt (June 13, 1792 – August 18, 1858) was an American inventor, legislator, surveyor, and millwright. He was the inventor, maker and patentee of the first typewriter constructed in America. He is referred to as the "father of the typewriter". Burt also invented the first workable solar compass, a solar use surveying instrument, and the equatorial sextant, a precision navigational aid to determine with one observation the location of a ship at sea. Burt was born on his father's farm in Petersham, Massachusetts, on June 13, 1792. He was of Scottish and English ancestry, since his ancestors immigrated to America in 1699. He was the fifth of nine children. Because of the poor economy the family farm was sold in 1802 and the family moved to Freehold, New York. In 1803 the family moved to the town of Broadalbin, New York. He was greatly influenced by his mother's virtues. When Burt was about fourteen his father sent him to the district school for a total of three weeks and began arithmetic studies. He did well at that and at any leisure moments he pursued the studies on his own. About this time his father gave him a book on navigation that was published in 1779. Burt showed much interest in this and was inspired to someday become a master of a boat. He motivated himself to learn the traverse table and the method of determining latitude. He developed mechanical skills which enabled him to construct a quadrant instrument. With this he determined the latitude of his father's house with a pretty good degree of accuracy, even though he had never seen a nautical instrument before. He was also interested in astronomy and studied almanacs and navigation. From about the age of fifteen he determined his calling to be such as would be useful to mankind. He studied mathematics, natural philosophy, and astronomy whenever he could borrow books. He was from there on interested in these scientific and mathematical subjects his entire life. When Burt was about sixteen, his father sent him to school for six weeks total to learn science and mathematics, which he kept up, even though his duties at home and on the farm were equal to other boys in his age group. Burt recalled this as he wrote about himself when he was sixty-two years old. Burt's mother Wealthy lost her father, William Austin, at sea. She therefore discouraged him from becoming master of a ship. Instead of becoming a ship captain Burt bought a broken surveying compass when he was eighteen. He repaired it and surveyed the vicinity of his father's home which was near East Aurora, Erie County, New York. Burt enlisted in the United States army in 1812, which interrupted his surveying work. Burt married Phoebe Cole on July 4, 1813 when he was twenty-one years old. When he lived in Wales Center in Erie County Burt held several public offices: justice of the peace, postmaster, county surveyor. At the age of twenty-five in 1817 he went on some traveling. He went on his journey mostly on foot. Some parts he went by small boats and by horseback. His travels took him from his home in Erie County to Pittsburgh, Cincinnati, and St. Louis. Burt took a northerly route through Illinois and Indiana to Detroit, then he went by boat to Buffalo. These travels were preparatory to the time when he hoped to become a United States deputy surveyor. Meanwhile, his career was the trade of a millwright in New York and in Michigan. When Burt moved to Michigan, where he lived from 1822 until his death in 1858, he came into the acquaintance of influential prominent men in the area who urged him to settle in the city of Detroit. He preferred the country life for his wife and four sons. When Burt was forty-one years of age he was appointed United States deputy surveyor. At that time in 1833 three sons, John, Alvin and Austin, were old enough to work as assistant surveyors to learn the trade. In the next eighteen years, his five sons, John, Alvin, Austin, Wells, and William became United States deputy surveyors also. He also trained scores of other boys in the area of Mount Vernon, in Macomb County, Michigan. Burt trained surveyors in the states of Michigan, Wisconsin and Iowa. Burt spent two surveying seasons in Iowa, during 1836–37 and 1842–43. There he ran the course of the fifth principal meridian in Iowa. Burt used his solar compass for the first time in 1836. Alvin, one of his sons, surveyed the boundary line between Iowa and Minnesota with this same instrument. He also surveyed Township and Range lines in Wisconsin from 1840 to 1842, where his son Alvin also worked a bit later. Wisconsin and Michigan disputed over boundary lines, so to settle the matter Burt was selected to make a re-survey of the interstate boundary. After the death of one Dr. Douglass Houghton in 1845 Burt took over his geological notes and completed the work in the Upper Peninsula of Michigan. The United States government accepted his work as satisfactory. Burt became prominent, not only in Michigan, but in the nation generally. He had an excellent reputation because of his surveying achievements. He was the first United States linear surveyor in the Upper Peninsula of Michigan. While surveying, he won acclaim for his accurate work on public land surveys. He worked hard for the building of the Sault Ste. Marie Canal and helped in making the preliminary survey of it. Burt was a Jeffersonian Democrat, but did not actively participate in national political affairs. He was a member of the Michigan Territorial Legislature, 1826–1827. He served as Mount Vernon's (Michigan) first postmaster from 1832 to 1856. He was a Macomb County Circuit Court judge in 1833, a state legislator in 1853, and a deputy U.S. surveyor from 1833 to 1853. Burt was a member of the Masonic fraternity, participating as one of the founders and the first Master of the third Masonic lodge organized in Michigan. Burt was appointed as Judge of a Michigan Territorial Court, so from then on was referred to as "Judge Burt." In 1857, Burt moved from Mount Vernon, Michigan to Detroit, where he died the following year. 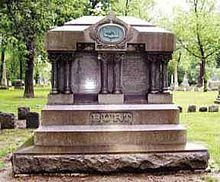 The National Shorthand Association, at Detroit on August 22, 1919, unanimously voted to place a wreath on the monument over the Burt family grave in Elmwood Cemetery, honoring him as "The inventor of the first writing machine." Burt is commemorated at Stony Creek, near his home in Mt. Vernon, Michigan, by a historical plaque. Burt Lake in Cheboygan County, Michigan, is named after him, as is Burt Township, Cheboygan County, Michigan. Among Burt's numerous inventions were the typographer in 1829, which was a predecessor to the modern-day typewriter. The "typographer" was the first constructed and operating typewriter anywhere according to Burt. Austin Burt, the great grandson of the inventor, built a working model for the 1893 Chicago's World's Fair working from a parchment copy of the original patent (No. 5581X). He explained in a letter dated April 1, 1893, that was attached to the model that it took him a month to construct it from the original patent description because many of the parts had to be hand-made. It was on display and a picture taken of it at the University of Minnesota just prior to going to the Chicago's World's Fair in the middle of April. The younger Austin then was a student of engineering at the University. The replica built by Austin was returned to the model room of the Patent Office in Washington D.C. when the Chicago's World's Fair closed. There it remained until 1903 when the Patent Office model room was closed. The "typographer" was then shipped in 1903 to Hiram A. Burt of Marquette, Michigan. Burt's machine and the original Letters Patent went to Hiram's daughter, Mrs. Howard Corning, of Bangor, Maine when Hiram moved to Maine at a later date. The replica as of 1922 was in the Smithsonian Institution and the documents of the original Letters Patent stayed in the family of Mrs. Howard Corning. Burt searched far and wide for an appropriate name for his invention, but reluctantly settled with "typographer" which ultimately became "typewriter." It consisted of a wooden box with a swinging lever on one end for impressing. The typeface letters were mounted on a short sector attached on the underside of the lever. Pressing down imprinted the letter selected on the paper. When a page was full it was torn off like a paper towel, as the paper was on a large continuous roll. One could print both upper and lower case letters. The first writing machine Burt built did not live up to his expectation, so he built an improved version six months later that wasn't much faster. The improvements were mostly in looks and appearance for marketing the machine to investors. While Burt's typographer generated a lot of interest and did a very good job of typing clear and neat letters it did not become a commercial success. The typographer was "born out of season" and was before its time, so no market was found for the device or his patent during his lifetime. While Burt invented the typographer, he is better known for his solar compass, invented in 1835. The reason is that his surveyor's precision instrument solved many problems encountered by surveyors in the ordinary use of the magnetic compass for surveying. Burt was an active surveyor in Michigan, Wisconsin, Iowa and other states. He was the leader of many survey teams in Michigan when it was just a wilderness. His solar compass and adaptations of it became standard instruments for the government land survey in much of the western United States and were used until the Global Positioning System was available in the late 20th century. Burt devised the solar compass so that garbled readings caused by the Earth's magnetic field would be cleared up and so that north-south survey lines could be easier to find. Burt discovered the Marquette Iron Range in Marquette County of the Upper Peninsula of Michigan in 1844. He noted that the needle of a magnetic compass would spin unusually violently in some locations in the vicinity of Marquette County. Burt persevered in his survey of Michigan's Upper Peninsula, however, using his solar compass when he realized the normal magnetic compass would not furnish accurate readings owing to the large deposits of minerals in the area. His solar compass invention had much better accuracy in such situations. The solar compass eventually become the standard tool and was adopted by the General Land office to be used on all federal surveys, noted for its usefulness in areas of magnetic disturbance. Burt's surveying tool was used in the Michigan Survey and employed in regions that had an abundance of iron ore minerals which would interfere with accurate readings when using ordinary instruments. The demand for his surveying precision instrument rose dramatically. Yet Congress would not renew Burt's patent in 1850 when it expired. He claimed that he didn't even receive $300 for his right in said invention. Burt designed and invented the Equatorial Sextant for the purpose of getting accurate bearings and positions of ships at sea. When the instrument was properly manipulated it was capable, with one observation, of reading a ship's azimuths, altitude, time and declination. Burt applied the principles of his earlier Solar Compass to make this precision navigational aid that used the sun as a reference point. Other compasses of the time relied on the earth's north magnetic pole and were not reliable, causing ships to go off course. Burt's sextant was not affected by magnetism or iron ore deposits, and hence, the new sextant directed ships at sea much more true to course. ^ Tuttle, Charles Richard (1873). General History of the State of Michigan, pp. 515–18. Detroit: R.D.S. Tyler & Co.
^ "Solar Compass". Smithsonian Institution. This page was last edited on 2 March 2019, at 17:24 (UTC).